Hidden histories also form the subject of Victoria Rance’s new sculpture, Spire, for the Economist Plaza. 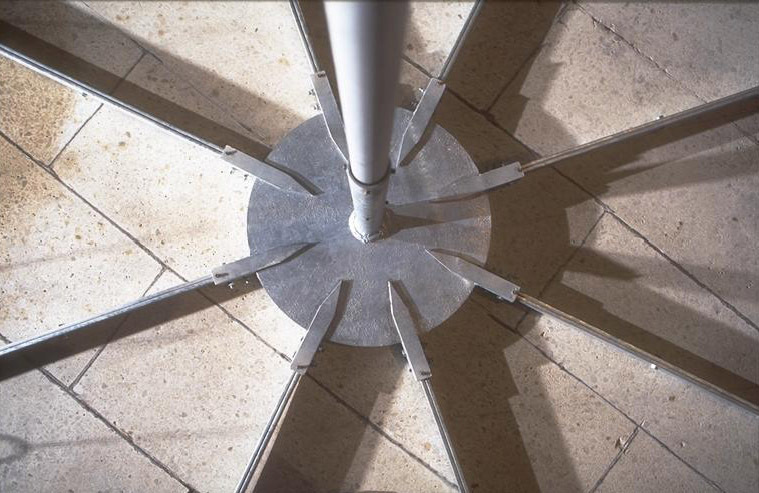 Rising from a circular base to form a sharp point, Spire’s galvanised steel sections are joined together to a height of 6 metres. The sculpture contains a space inside which can be entered, reminding the viewer of the human scale of the piece and giving multiple perspectives of its construction. From within, the apex is visible with its rays of steel cables which radiate and surround the viewer. Rance has drawn inspiration for this work from the lost architectural features of London and England’s fading traditions, from church spires to the maypole and Mayday celebrations. Whereas once hundreds of spires could be seen in the city of London, now few remain, many having been destroyed. Those still present are often obscured by Modernist office spaces, which overshadow the human scale and replace the former social and religious function of these edifices. 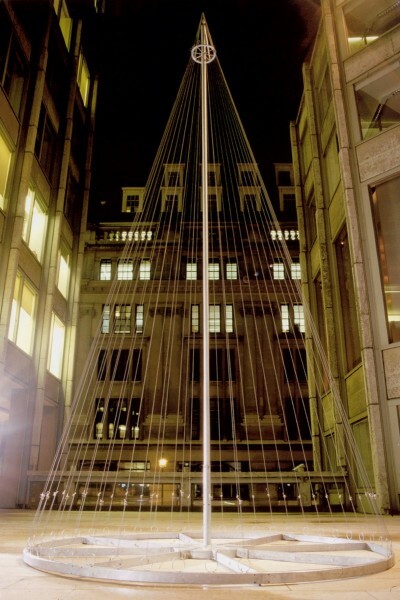 The maypole also used to stand proud as a symbol of social engagement and ritual, and in fact, the Strand was the site of a large maypole during the restoration period. 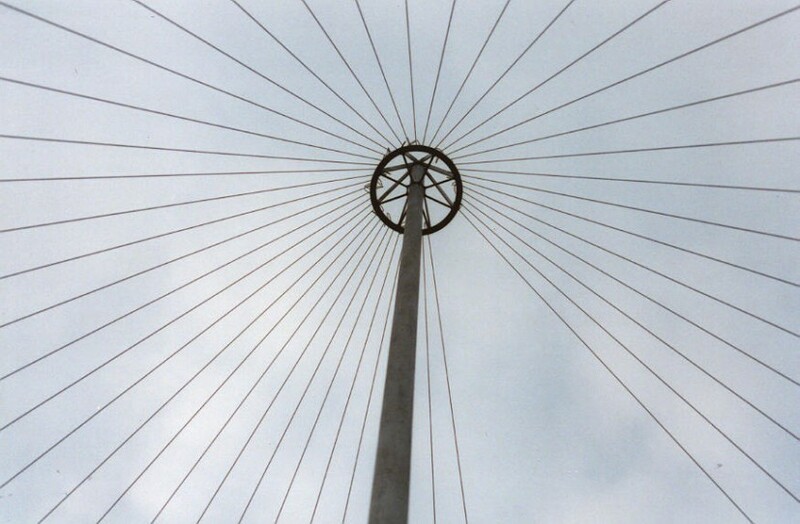 The particular ‘Englishness’, which is evoked by both the church spire and the maypole, is explored in Rance’s site-specific work for the Economist. Rance has exhibited widely in Britain, and her work can be currently be seen at Roche Court and Sculpture at Goodwood.